While there is something to be said for a big, blended margarita on a really hot day, those drinks tend to be tequila-spiked smoothies more often than not andÂ I think I will always prefer to have my margaritas on the rocks when given the option. The blended margaritas are often too sweet and I simply like the way that you can get more flavor from the simpler, shaken drink. A margarita should be sweetened to some extend, otherwise we’d all just do tequila shots with a slice of lime on the side. Since I use fresh lime juice in my margaritas, rather than opting for a premade sweet and sour mix, I’m open to using any kind of liquid sweetener that will complement the drink. 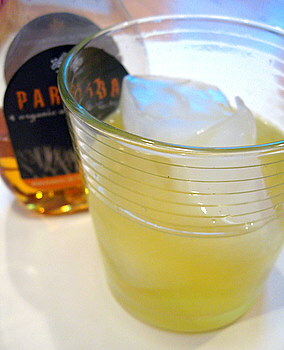 I recently got ahold of a bottle of Partida Tequila‘s Agave Nectar, which they use as the sweetener for the company’s signature margarita – the recipe for which isÂ conveniently printed right on the back of the bottle. The margarita was delicious.Â The agave blended well with the tequila’s flavor and was sweet enough to take the edge off of the fresh lime juice. ItÂ dissolved quickly in the drinkÂ and had a much rounder flavor than, for instance, straight sugar syrup.Â Depending on how sweet your limes are, you might want to adjust the amount of agave used, but I’m planning on sticking with this recipe for a while. Combine all ingredients in a coctail shaker and shake vigorously. Pour into a glass with ice. Never use salt*. *Updated to add: The Partida recipe specifically says “never use salt.” I personally like salt with a margarita, but I went the with recipe and left it off here. I have to admit it was probably a good call, as I could really taste the sweetness of the agave without any salt to cover up the taste of the drink itself. But feel free to use salt if you want to – or just drink your margarita with a side of salty tortilla chips! I’ll have to try agave nectar next time I make margaritas. One change for me, though — ALWAYS use salt! Plus I like a mixture of limes and lemons. i’ve got everything i need to make this drink…but why no salt? i love salty margs! 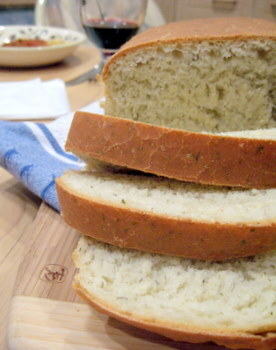 The “never use salt” was a directive that came with the recipe. I could go either way, myself. I updated the post to explain a bit more. Now you’re talking! Sounds wonderful.